What BCM450 software release do I have? You can find the BCM software version via a PC, using Element Manager or an internet browser connecting to the BCM. 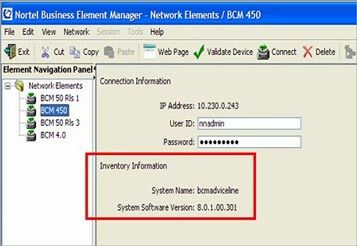 When you open Element Manager, the software version will appear as Inventory informationprior to connecting to the BCM system. 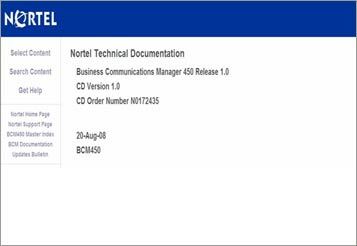 It will be in a format similar to 8.0.1.00.301 – look this up in the table below to find the release number.